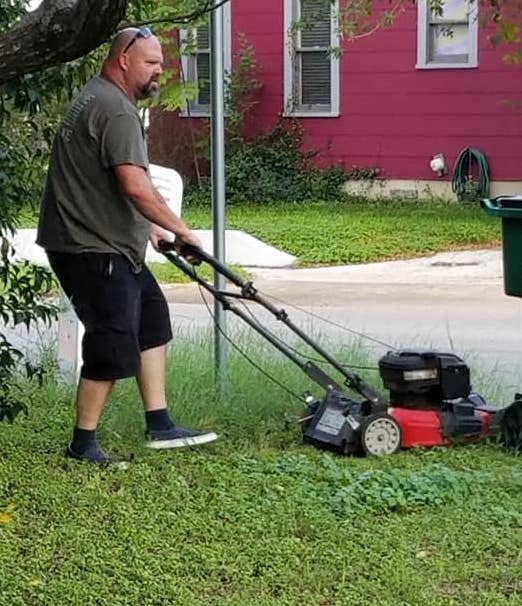 Codie LaChelle McPhate, of Texas, snapped a photo of her dad mowing her mom’s lawn one fine day. For those who have no idea of her family’s situation, this would be a normal thing to do—but the actual fact is nothing less than a sweet surprise. 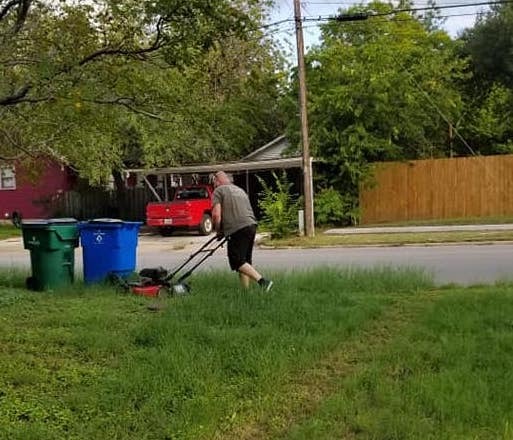 “This is my dad, mowing my mom’s lawn. They’ve been divorced 28 years,” the 32-year-old proud daughter wrote to Love What Matters. “My dad is with me in Texas on vacation. He doesn’t even live here where my mom lives. So not only did he do something selflessly for her, he did it for her while he was on his VACATION,” she said. “This is co-parenting,” Codie said. Codie shared how she feels blessed to have such parents. “This is how lucky I am to have 4 parents who respect each other, and know that at the end of the day, the only thing that matters is showing your children (Even ones that are 32 years old) how to treat people, and how to love your family, no matter how it came together,” she wrote. “He just wants to show others that you don’t need to act like an angelic pastor on lent, but that we should all choose kindness whenever we can,” she wrote. “He said my mom and he decided when they we going through their divorce they would both choose to be adults and treat each other with respect and compassion, because no matter how their marriage ended, they both loved each other very much at one point, and that, that love—counts for something,” she recalled. Codie also posted this heartwarming act on Facebook and has since received more than 70,000 likes and over 30,000 shares. Social media users went on to praise her birth father’s act. “My heart just exploded,” a third one enthused. Needless to say, Codie’s parents made a wise choice years back! 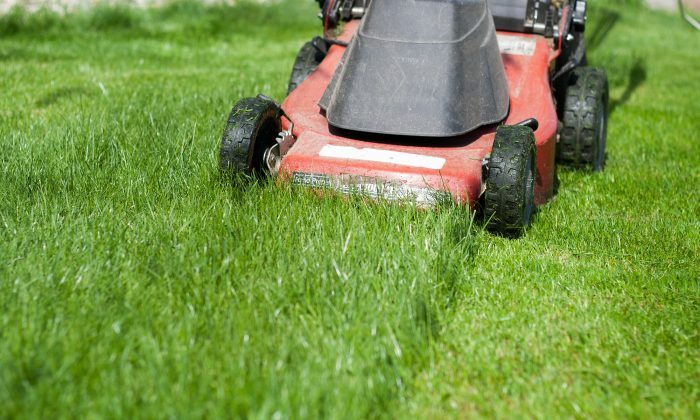 Regardless of how bitter a divorce might get, parents must make the effort to set a good example to their kids.